Get naturally-defined, fuller eyebrows with Maybelline’s Fashion Brow Duo Shaper, without threading, trimming or plucking your eyebrows! 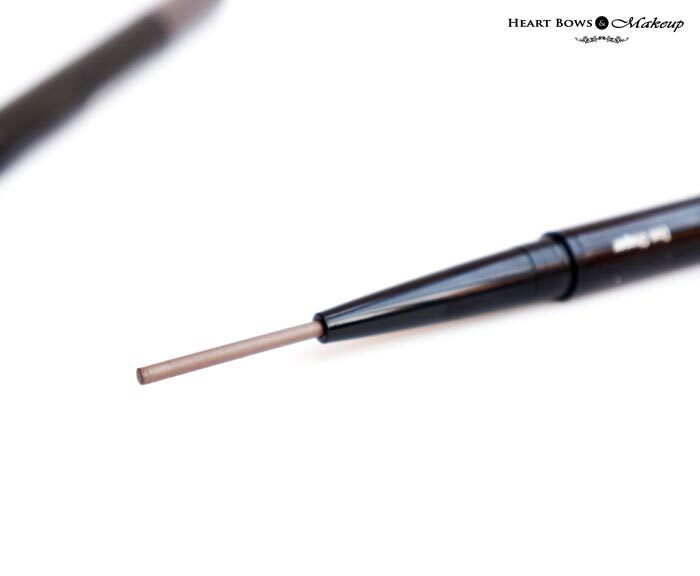 Our first ever 2-in-1 brow liner comes with a slim pencil tip to shape your brows and a powder tip for a soft finish. Pencil shapes, powder finishes, 2 steps to wow! Now if you’re wondering how to use a brow pencil and powder together since usually we only see eyebrow pencils and spoolies being sold in India then let me tell you how 😀 You basically need to outline your eyebrow with the pencil with soft and small strokes, then fill them in with the powder. The pencil does feel a bit dry but I prefer this texture as creamy eyebrow pencils only stick to the hair and look so stark. The pigmentation is sheer making it perfect for beginners as I know the major issue I always used to face with filling in my brows was going too overboard. I always prefer building it up as I go rather than using a highly pigmented product for my brows. 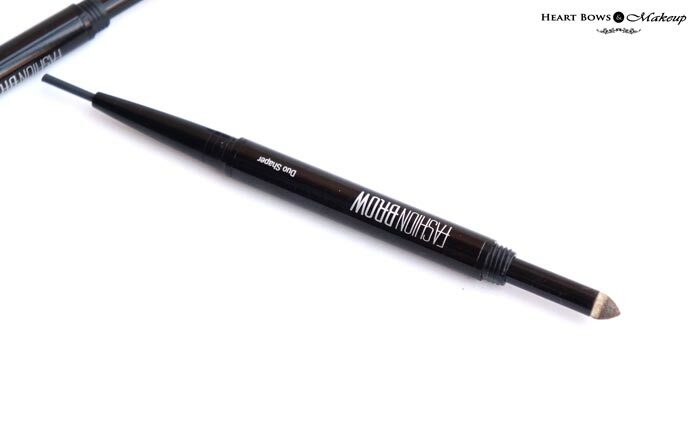 The Maybelline Brow Shaper has a very slim pencil which reminds me of the much raved about Anastasia Brow Wiz. 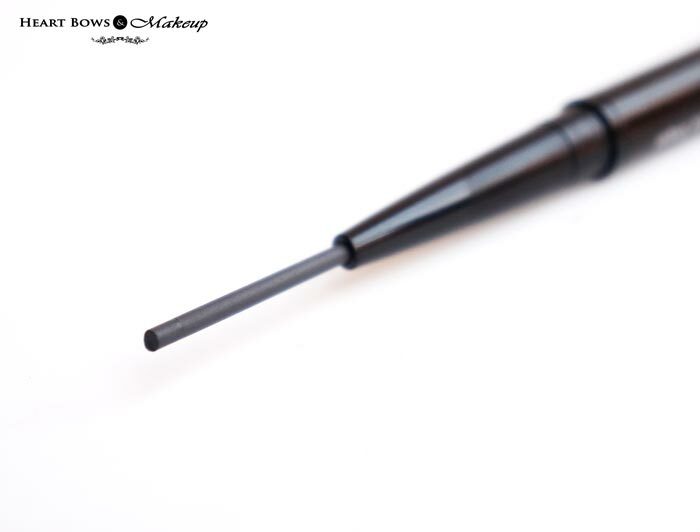 This really helps in controlling the shape and helps define your brows much better. The sponge applicator is soft and pointed which is just the perfect shape for filling in your eyebrows and defining your arch. 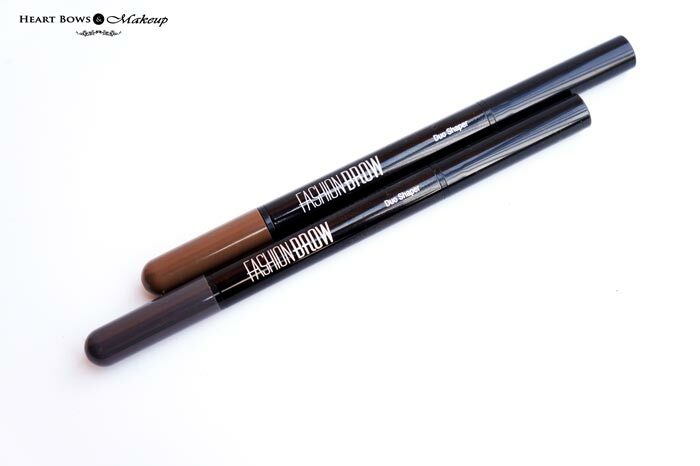 The new Maybelline Brow Duo comes in 2 shades- Grey & Brown. At first when I heard they launched a grey pencil instead of black, I was so amused. Afterall, who needs a grey eyepencil for black brows, DUH! However, the grey is a light black shade which is perfect for those with dark eyebrows. The brown on the other hand is dark brown in color perfect for people like me who have light brows and have colored their hair. Filling in my brows with black eyeshadow looks too stark after I got Balayage Hair Coloring done and the Maybelline Brow Duo Shaper in Brown is just PERFECT for me! The Maybelline Fashion Brow Duo Shaper lasts throughout the day, though I haven’t tested it out for 12 hours. I went out, sweat like a pig in this humid weather and it stayed put so the wear time is really good hence no complaints in this department! Yes, it would’ve been great had hey included a spoolie as well but at the price tag of Rs 245 its still pretty amazing. Maybelline yet again has gone on to prove that good HG worthy products need not cost a bomb and this is one product that I will re purchase again and again and again! 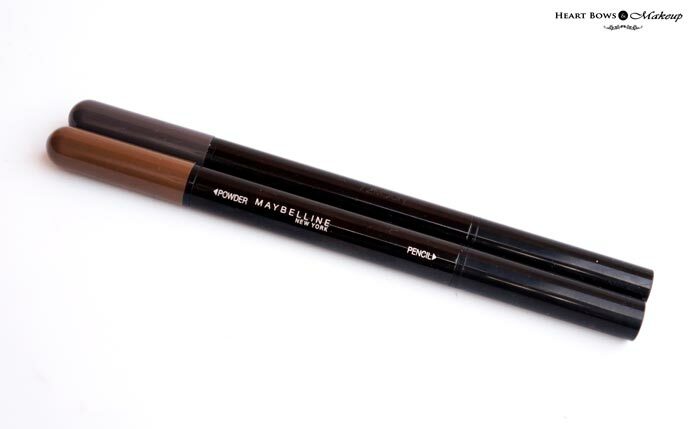 HBM Recommendation: Maybelline Fashion Brow Duo Shaper is the best eyebrow pencil/ defining product in India. 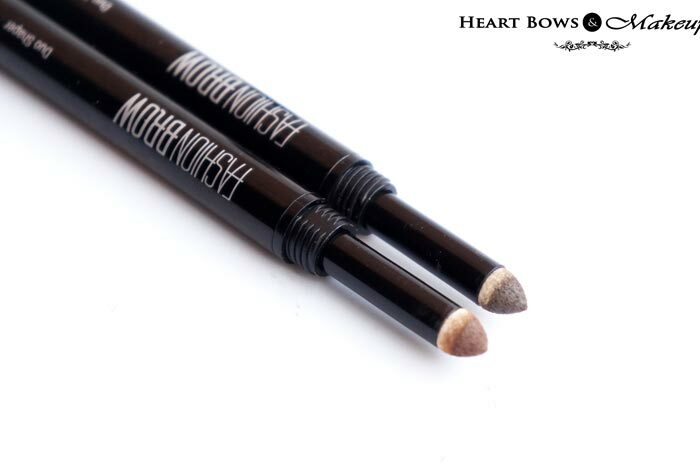 The slim pencil helps in defining the eyebrows easily and the powder is perfect for filling them in. They are not too pigmented hence you are less likely to end up with stark eyebrows. 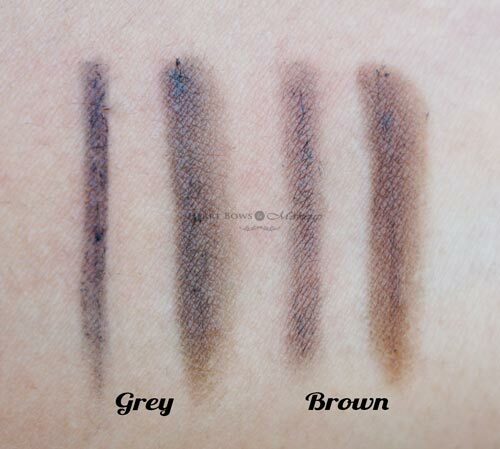 The shades grey and brown would suit the Indian skin tone well and the stay power is pretty amazing. This has become my HG brow product and I highly recommend it. PR Samples. However, my opinion remains honest and unbiased.